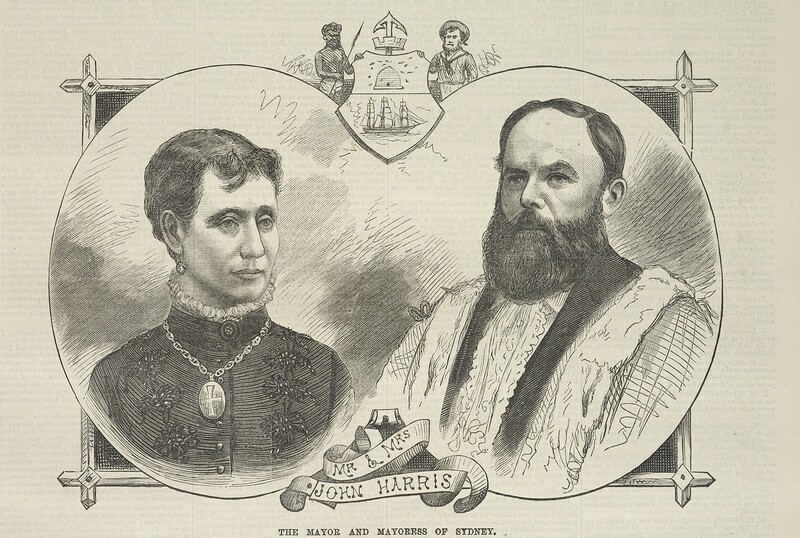 John Harris was born at Magherafelt, County Londonderry, Ireland, on 10 August 1838, son of banker John Harris and Nancy Ann, née McKee, and brother of Matthew Harris. In 1869, at Glebe, NSW, he was married to Elizabeth (Lizzie) Henrietta Dingle Page (d.1885, aged 38). His daughter Marian (born 1872) became Mayoress of Sydney on the death of her mother. John Harris died at Ultimo, NSW, on 7 November 1911, survived by five sons and three daughters. He was buried in the Presbyterian section of Rookwood Cemetery with Masonic rites. 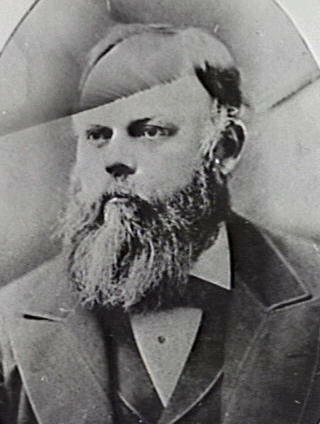 John Harris arrived in Sydney with his family about 1842 after his father inherited part of the estates of his relative Dr John Harris, First Fleet Surgeon. He was educated at Dr Fullerton’s School, Normal Institution and the University of Sydney. He left the University of Sydney without a degree to manage the family real estate. He built Bulwara House (demolished 1913) in Jones Street (on the corner of William Henry Street), Ultimo, in about 1883 and lived there until his death. Harris Park was named after his family. Harris was commissioned as a Justice of the Peace and became a Magistrate in 1875. He was Honorary Treasurer of the Benevolent Asylum and Director of Randwick Orphan Asylum and Sydney Hospital. He was an ex-officio member of the Health Board during the 1881 smallpox outbreak. He donated his mayoral honorarium to the University of Sydney for a scholarship in anatomy and physiology. 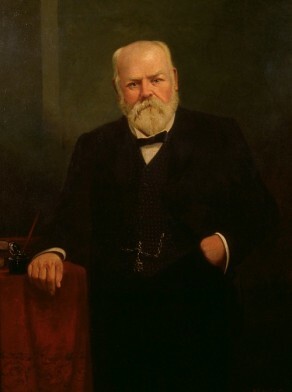 John Harris was elected a Member of the Legislative Assembly for West Sydney, 1877-80 and for South Sydney, 1882-95. John Harris was Alderman for Denison Ward, 1 December 1873 to 30 November 1883, for Phillip Ward, 1885 to 6 December 1900 and for Denison Ward, 1 December 1902 to 7 November 1911. He became a magistrate in 1875. He was a member of the Electric Lighting Committee, 1897-98 and 1903-08, the Disposal of Refuse Committee, 1897-98 and the Works Committee, 1899, 1902, 1905 and 1908-11. He belonged to the Garbage Disposal Committee in 1901, the Finance Committee, 1903; and 1905-09 and the Parliamentary and By-Laws Committee in 1903. He was a member of the Health and By-Laws Committee, 1905-10 and the Street Signs Special Committee, 1906. A municipal reformer known as ‘Honest John’, Harris was Mayor on five occasions between 1881-83 and 1888-89. On 27 November 1889, as Mayor, he officially opened the new Town Hall. Martha Rutledge, ‘Harris, John (1838–1911)’, Australian Dictionary of Biography, National Centre of Biography, Australian National University, http://adb.anu.edu.au/biography/harris-john-3725/text5849, accessed 15 January 2013.